HC Lane and son has been a contractor in Virginia since 1958. 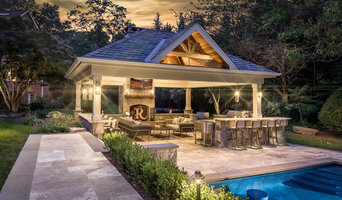 We are a full service landscape design build firm with expertise in backyard resorts and custom pools bringing the beauty of nature to your outdoor surroundings. Our company is known for its reputation for commitment and high integrity. One Design, One Vision, One Builder! 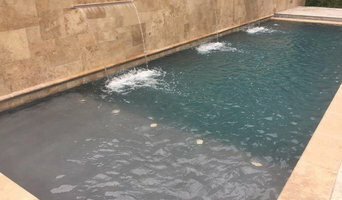 Rowan Landscape and Pool - "Custom Pool Builder"
Supreme Pool Service is the company of choice for pool owners in the greater DC Metropolitan area who are looking for a professional, qualified and affordable pool maintenance team. Our years of training and experience not only make us knowledgeable but also make us the very best company in DC Metropolitan area to handle any pool maintenance and repair service quickly and efficiently. JW Contracting, Inc. is a reputable company serving customers in their complete swimming pool and backyard projects. Beauty on the River! We offer 31 years of experience in the swimming pool industry. We are a licensed and insured company doing business in Virginia and its surrounds. We specialize in swimming pool construction and renovation. Whether your job is big or small, you can count on quality from start to finish. Let us transform your backyard into someplace you always dreamed it could be. Australian and New Zealand pool builders continue to push the boundaries in terms of design. Infinity pools, for instance, are no longer reserved for top-end holiday resorts; and lap pools aren’t standalone additions to a backyard. You can now get your feet wet in an infinity pool, lap pool or swim spa that is an integral part of your Ashburn, VA home design. And, with improved technology, there are more low-maintenance, energy-efficient and sustainable options available. Whether you’re at the beginning stages of planning a pool or spa, renovating an existing one, or just need upkeep assistance, there’s an Ashburn, VA pool specialist on Houzz who can help. After council approval, your contractor will commence construction, which can take up to two weeks for a fibreglass pool and longer for a concrete pool. Some companies in Ashburn, VA extend their services to pool fencing, landscaping and the coordination of trades for filtration and heating equipment, as well as pool cleanings, water testing, renovations and equipment replacement or repairs. Here are some related professionals and vendors to complement the work of pools & spas: Garden & Landscape Supplies, Landscape Architects & Designers, Building Project Managers, Landscape Contractors & Gardeners, Solar Power Contractors. Find an Ashburn, VA swimming pool and spa expert on Houzz.